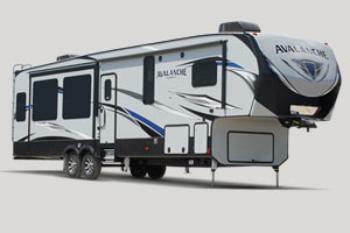 Keystone RV Company is recalling 137 model year 2016-2018 Keystone Avalanche recreational trailers, model 370RD. The vehicles have an adjustment bolt for the kitchen slide-out that could contact the front tire. If the bolt contacts the front tire, the tire may suddenly fail, increasing the risk of a crash. Keystone has notified owners, and dealers will replace the adjustment bolt with a shorter one, free of charge. The recall began on July 27, 2017. Owners may contact Keystone customer service at 1-866-425-4369. Keystone's number for this recall is 17-293.